Although we are known as Central Florida experts, our travels take us much further afield than The Sunshine State, with regular visits to Europe, America's Mid-West, East Coast and South/Central states, with various cruises thrown in for good measure. In 2010, we made our first visit to South America and toured Central Europe extensively; in 2011 we extended our cruise and Florida repertoires; 2012 took us back to the Caribbean, to Indiana, on river-cruises along the Danube and Mississippi, and out to Hawaii, where we totally fell in love with the islands. In 2013, it was New Orleans (for a memorable Super Bowl), the Panama Canal (on another cruise voyage) and a return to Alaska, in Gold Rush style. Most recently, we have sailed the Rhine aboard the beautiful SS Antoinette of Uniworld Boutique River Cruises and enjoyed the opening of the amazing new Diagon Alley area at Universal Orlando. Who knows where we'll end up next, but we're ready to go at the drop of a suitcase! 2014 Heading back to Europe in the spring gave us the chance to sample another blissful river-voyage in the company of Uniworld Boutique River Cruises, sailing atypical seven-day voyage from Amsterdam in the Netherlands to Basel inSwitzerland and enjoying the many delights of Germany and France en route. This is a seriously popular choice these days, with European river-cruising enjoying an amazing boom, but the Antoinette is the latest design of river vessel and displays extra appeal with her swimming pool, cinema and alternative dining option. We are more convinced than ever than this is the perfect way to see a large slice of Europe and Uniworld (in concert with UK sales partners Titan Travel) really know how to show off the area to its best advantage. Back at home, we have been totally dazzled by Universal Orlando's new Wizarding World of Harry Potter - Diagon Alley in their Universal Studios theme park, and we believe this is now the new gold standard for theme park entertainment. Immersive? You truly believe you have walked through the screen into the movie itself, and this should have more people visiting Orlando than ever before. 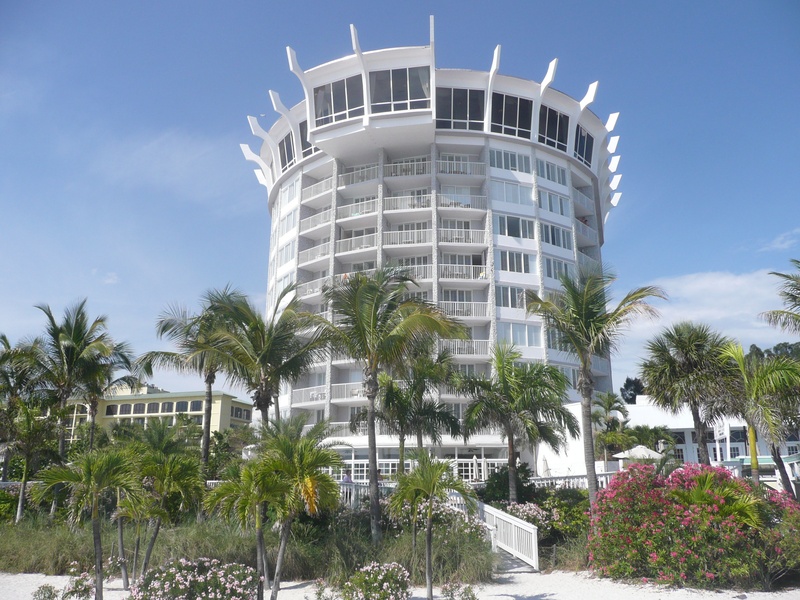 We also re-discovered the delights of St Pete's Beach, with a blissful stay at the Grand Plaza Beachfornt hotel (above, left), which allowed us to kick back, relax and really enjoy the laid-back, and totally accessible seaside style of this part of Florida's coast. Coupled with a visit to Fort De Soto park and a meal at our favourite St Petersburg restaurant, The Moon Under Water, it made for a great way to re-charge our batteries after completing the text for the 2015 edition of the Brit Guide to Orlan do - which will be in its 20th edition next time out! Oh, we have also invested in a fancy new camera, and you can see the results with two extended photo essays of the Diagon Alley media event on our Veness Travel Media Facebook pages. 2013 Our Big Two trips for this year were both of the cruise variety, but couldn't have been more contrasting if they tried. To start with, we sailed out of Fort Lauderdale on the chic Coral Princess of Princess Cruises and headed for the engineering marvel of the Panama Canal, a new destination for us but one that has been on a our travel 'bucket list' for a while. It more than lived up to expectations, with a fabulous close-up look at the Canal and how it works, plus additional visits to Aruba, Cartagena (Colombia) and Limon (Costa Rica). It is a part of the world we would like to see more of, but, boy, is it humid! By total contrast, the Fall saw us headed back to Alaska, a place that had captured our hearts in 2008 and which we longed to see more of. Well, in the company of Un-Cruise Adventures and aboard their boutique little SS Legacy, we couldn't have been more impressed, both with the Gold Rush heritage style of the cruise itself and the utterly magnificent wildlife encounters we enjoyed along the way. There was hardly an hour went by without a whale sighting of some kind, while Un-Cruise simply provided the most engagingly friendly onboard experience we have sampled in years. With a series of period re-enactors and evening talks and presentations, we both learned a lot about Alaska and its history and enjoyed some of the most convivial cruising you can find anywhere at sea. Of course, there was also plenty to enjoy in the mainstream world of Orlando, with all of the parks opening major new attractions this year, and we especially enjoyed the dazzling (and explosive!) TRANSFORMERS: The Ride - 3D at Universal Studios and Antarctica: Empire of the Penguin at SeaWorld. The latter may be (very) chilly, but its penguin exhibit is simply the best in the world, and worth travelling a long way for (especially if it saves you a trip to Antarctica itself!). Once again, as Fall turned into winter, we gave thanks for the warmth that Florida provides at this time of the year while much of the rest of the country suffered under blankets of snow and ice. And, not for the first time, we marvelled at the superb Christmas presentations provided by the main theme parks, notably those at SeaWorld (which is free with general admission) and Busch Gardens, where their new Christmas Town evening attraction is a separately-ticketed event but well worthwhile. That's only the thumb-nail version of the year, of course - for the full detail, you'll have to catch up with some of our stories in pritn and online, plus our Trip Reports on the discussion forums of Attraction Tickets Direct, for whom we now write a weekly News blog about all the happenings here in Central Florida. It never stops, you know! 2012: The launch of our new book (The Hidden Magic of Walt Disney World Planner) was one of many highlights for us this year, providing yet another string to our Walt Disney World bow, but our travels also took us to several new destinations. We started with the launch of Disney's new ship, the Disney Fantasy, which gave us another look at the smart and original cruise style from the House of Mouse. That was quickly followed up by our annual Super Bowl pilgrimage, which took us back to the Mid-West this year and Indianapolis. The city proved a great host for America's big game, and it made for a memorable visit, both for the attractions of Indy as well as the game itself. From there we headed for the Caribbean and a look at the amazing megaship Norwegian Epic, which dazzled us with its many dining options and its wonderful entertainment quality, including Blue Man Group and Legends Live In Concert. After the annual Brit Guide re-write (the 18th edition of the UK's best-selling travel guide), it was time for something new and a trip to eastern Europe. Just 20 years ago this would have been practically impossible during the Iron Curtain era, but sailing the Danube from Romania to Austria (via Bulgaria, Serbia, Croatia, Hungary and Slovakia) was an absolute joy, both for the people and the places we visited. We wrote about it for World of Cruising and the Mail on Sunday, and places like Croatia, Hungary and Slovakia are definitely on our 'Must Return To' list for the future. Most of the summer was spent at home, in and around the attractions, enjoying the new Turtle Trek at SeaWorld, Legoland's water park extension and the fabulous new eco-park at Florida Eco-Safaris - definitely one for visitors to pay attention to. Various travel plans for the early autumn fell through - which proved handy on one count, as we were able to fulfil a quick commission for an 8,000-word feature on Florida for Telegraph Travel online - until we lucked into a wonderful trip along the Mississippi with American Cruise Lines. Their new Queen of the Mississippi was the first new riverboat on Old Man River in 17 years and has quickly proved a big hit for its leisurely, luxury style along this amazing waterway. Our seven-day voyage took us from St Louis through stops in Illinois, Kentucky and Tennessee, as well as Missouri, before stopping in Memphis for a great taste of this blues-tinged city. From there, we barely had time to draw breath before we were embarking on our biggest journey of the year, all the way to the Aloha Isles of Hawaii. Flying via Dallas was a near-13hr journey but it was worth every minute once we were there. We started with an overnight stay at the Modern Honolulu Hotel and a chance to sample Waikiki before boarding the Pride of America of Norwegian Cruise Line for a full seven-day cruise around the islands, taking in 2 days at each of Maui, the Big Island and Kauai in turn. Each one proved spectacular in its own right, with an amazing diversity of landscape and viewpoints, from volcanic 10,000ft Halekala on Maui to the active volcanicity of Kilauea on the Big Island and the awesome Waimea Canyon in Kauai. The blissful temperatures and ultra-friendly people made it a journey to cherish, and we concluded the trip with 4 days back on Oahu to sample the delights of Kualoa Ranch, the North Shore and other attractions, like Pearl Harbor and Diamond Head. With one night at the superb Kahala Resort and two at Disney's Aulani Resort - the latest offering in the Disney Vacation Club - we were truly wafted away to paradise and enjoyed the nearesr thing to a vacation we are ever likely to take. Back home, we had 48 hrs to get it all written up for the Winter edition of World of Cruising, and then a 1,000-word feature for the Mail on Sunday. Phew, as they say! With Christmas and New Year back in Orlando to finish off the year - including another look at the must-see festive side of SeaWorld, which is definitely now Orlando's premier park for the Holidays, and New Year's Eve fireworks over the Magic Kingdom, it lowered the curtain on another memorable year. 2011: Last year definitely ended up much busier than we planned (especially as we had our big full-time house move from Michigan to Florida in the middle!). The inauguration of Disney Cruise Line's eye-catching new vessel Disney Dream kicked things off in style with an excellent showcase of this feature-packed vessel, and then Simon headed to Dallas for his annual encounter with the Super Bowl. February took us off to the Caribbean aboard the new Celebrity Eclipse of premier cruise line Celebrity Cruises, which showed big can still be stylish, and also gave us a real appetite for the work of the Corning Museum and their onboard Hot Glass Show. An intriguing sea-going innovation and one we would heartily endorse. Then it was suddenly March and we were in to our usual hectic round of guidebook updating, with extensive tours of the Central Florida theme parks and other attractions. A new one we can certainly heartily endorse is Mauiva Air Tours, who operate some excellent flight-seeing tours of the area by both day and night. Summer saw us complete our house move and do a lot of hectic dashing around the parks and other attractions for book updates and new work in the Orlando area (stay tuned!). The innovative Cypress Canopy Cycle (a kind of bicycle zipline) at Forever Florida is one of our new favourites, as is the Screamin' Gator zipline safari at Gatorland. We then undertook a three-week Fall tour of Michigan in September and October to renew our acquaintance with this fabulous part of the world in the company of Simon's parents, who were new to the area but loved every minute of it. We wrapped up the year with a big family Christmas in Orlando, with the chance to see all the parks in their festive best (big kudos this year to SeaWorld for some superb decorations and special shows and events) and enjoy New Year's Eve with the too-spectacular-for-words Magic Kingdom fireworks. A stunning conclusion to a hectic year. 2010: We headed to Chile and the amazing wilderness of Patagonia (left) in the early part of the year, enjoying a truly heart-warming adventure cruise-tour with expert (and upmarket) operator Nomads of the Seas on one of their regular wildlife expeditions, getting a personal view of this unique part of the world and its wildlife. We also stopped off for a few days in Santiago post-cruise to get a feel for the city, its attractions and the nearby wine country (just prior to the earthquake which shook the country so tragically). We made some wonderful friends, enjoyed some of the best food we've had the privilege of trying, re-discovered our appetite for mountains (lots of mountains!) and promised ourselves we will return to Chile in future to see more of this enchanting part of the world. Equally big, albeit in a completely different style, was the much-hyped (but highly worthwhile) opening of the Wizarding World of Harry Potter at Universal Orlando's Islands of Adventure theme park. Universal badly needed their eagerly anticipated new park-within-a-park to deliver big-time excitement, and it did all of that, and even more besides. Our summer travels took us back to Europe and an extensive ground tour of Holland, Germany, Poland, the Czech Republic and Austria, covering a huge distance in just 12 days by car, including city experiences in Amsterdam, Berlin, Prague, Munich and Salzburg, the heart-breaking site of Auschwitz, and a lot of countryside in between, with Bavaria really sticking in our hearts and minds. While we didn't spend more than a few days in any one place, we still saw a lot of different countries involved, enjoyed a massive variety of culinary delights and soaked up a lot of the culture along the way, giving ourselves a brilliant snap-shot of central Europe. Changing pace completely, our autumn was highlighted by a genuine luxury experience cruising from Montreal to New York aboard the Crystal Symphony of six-star operator Crystal Cruises. Not only was it an exquisite 12 days aboard this boutique-style traveller, we were bowled over by the ports of call, many of which came as a real surprise along the leisurely journey. Quebec was stunning in the late-fall sunlight; Halifax and St John boasted fascinating maritime histories; Boston was superb for an overnight stopover; Portland wonderfully scenic in its fall foliage glory; and Rhode Island really captivated us with its fab food and imposing mansions. All in all, we dubbed it 'the thinking person's cruise,' and we hope to see more on this region in future. We concluded the year with a look at Royal Caribbean's Allure of the Seas, sister ship of their record-breaking Oasis of the Seas in 2009 and another vesel that takes cruise-ship entertainment even further into the 21st Century. 2009: 'Big' was the word for this year, in almost every sense. First, our main family adventure was a grand RV tour around Lake Michigan courtesy of an excellent RV company we met at the big Pow Wow travel convention in Miami earlier in the year. Moturis are Swiss-based but market throughout Europe and work with the big Camping World franchise in the US. Sitting comfortably in our 31ft-long camper, we travelled up from Chicago to Wisconsin Dells, Wausau, Gladstone (MI), St Ignace (and our favourite hideaway of Mackinac Island), West Branch, Frankenmuth, Michigan City and back to Chicago. Truly great fun for all concerned, and you can read the boys' blog about it here. We also got to sail on "the world's largest cruise ship," the brand new Oasis of the Seas of Royal Caribbean and were suitably wowed by the amazing level of facilities on board and the array of choice everywhere. It's not really a cruise ship, but it is a terrific experience. It featured as the cover story on the Winter Edition of World of Cruising, and as a blog on the mag's Time Spent at Sea sister website. Our Great Lakes work continued with a special supplement for Phoenix Publishing on the Winter Wonderland face of the region, and we were really pleased with the final result, which, we felt, really showcased the amazing variety of winter sports and activities on offer from Minnesota to Philadelphia. Elsewhere, we somehow managed to complete a full update of both our Brit Guide books (the 2010 edition of Orlando & Walt Disney World, and the 2010/11 issue of Disneyland Paris), which meant we spent a LOT of time in the first half of the year in Disney theme parks! With the Super Bowl in Tampa in 2009, it meant Simon was also able to base himself 'at home' for much of the time for that event, too, with a whole series of blogs about the event and its various media-oriented activities. Much of the rest of the year (notably February, March, August, September and October) was given over to more travels for our I-75 project book, which has given rise to more meals (and a wider waistline) than we like to contemplate. But we have unearthed some terrific stories and met some wonderful people, with various highlights being Mackinac Island (in a blizzard); Dayton, OH; Renfro Valley, KY; the 'Secret City' of Oak Ridge, TN; Valdosta, GA; and the Suwannee River Music Park in Live Oak, FL. 2008: Our travels took us from Alaska to Arizona this year, with side-trips to Cornwall in the UK, Barcelona in Spain, and a cruise on the new Ruby Princess of Princess Cruises. We visited Dallas and Fort Worth for a new publication on behalf of Phoenix International Publishing and made some great friends there, too. We think the 2011 Super Bowl in the Dallas area will be a REAL event to attend! Alaska was an amazing highlight for us, as we not only were able to appreciate a typical 7-day Inside Passage cruise with Holland America, from Vancouver to Seward, which was truly superb for the wildlife and vast, impressive scenery (see Susan's story for World of Cruising magazine), but we had a post-cruise adventure as well. This latter took us around the Kenai Fjords National park and up into Denali State Park, too, where Mt McKinley is one of America's most outstanding sights (see Simon's story). Barcelona was a new city to Susan, and a most enjoyable few days were spent here in the Fall (hence her story for World of Cruising), while we were also able to catch up with friends in Cornwall and visit the superb Eden Project. The Super Bowl took us to Phoenix, AZ, and we gave ourselves a few days in advance of the main media week to travel southern Arizona and enjoy the contagious Wild West atmosphere of places like Tombstone, Tucson and Apache Junction. We were able to take a horseback ride out into the desert at one point and were utterly hooked on the state's epic wilderness countenance. We WILL be back! The Ruby Princess was another valuable trip, providing some excellent (and much-needed, by November!) maritime respite from our travels by land. It also gave us another great feature for World of Cruising on The Ruby Evolution. 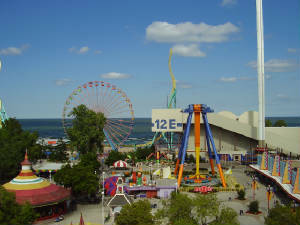 An additional highlight was a day trip to the wonderful Cedar Point amusement park in Sandusky, OH, with all three boys pronouncing its mix of rides and roller-coasters "the best ever." 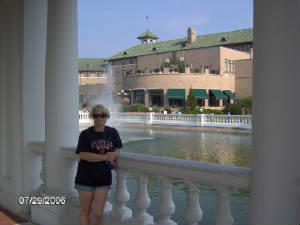 Sandusky is quickly becoming a little hot-spot of tourist attractions and we could easily spend several days here enjoying it all. Fortunately, we were able to detail much of the year on our Blog pages, hence we have a good record of a typically hectic 12 months! 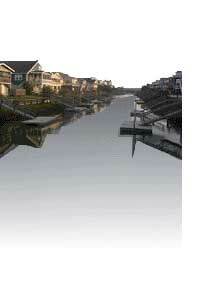 Looking back, it seems amazing we crammed so much in, but that only seems par for the course these days. 2007: We started with a strong dose of Florida (never a bad idea! ), thanks to the Super Bowl being back in Miami this year. Ironically, it was the first year gridiron's big game had ever been rained on, and Miami's interest in the game itself seemed less than overwhelming. Still, that didn't bother the Indianapolis Colts fans! February and March saw us back on the Orlando beat, researching and updating for the next edition of the Brit Guide, and highlighting the amazing outb reak of new, upscale restaurants which have given the area an inviting, fresh feel. Then it was off to Anaheim, CA, for the annual Pow Wow travel convention and a chance to compare Disney's 'World' with the original House That Walt Built back in 1956. An excellent week gave us plenty of ammunition for a Brit Guide to Southern Cal, and the Anaheim area in particular put on a particularly good show for the duration. Well worth revisiting in the near future, we hope. The summer took us off to the Caribbean and a welcome week at sea on the Caribbean Princess of Princess Cruises, visiting the Bahamas, Jamaica, Grand Cayman and Cozumel (the latter for a terrific shore excursion to the Mayan ruins at Tulum - highly recommended). Then it was off to Europe for a gand three-country tour with Susan's son Ben making his first trip outside the USA. We managed three days in Dublin, almost a week in London and four days in Paris (and Disneyland, of course! ), to give our curious teen a real taste of three major European capitals. Paris was probably the biggest hit - especially the food! Dublin went into World of Cruising while Disneyland Paris added to our scrapbook of updates for the next Brit Guide. We returned to Michigan to complete a commission for Phoenix International Publishing on their annual Great Lakes of North America guide (a 32-page supplement that covers all 7 states that border the lakes) and then a Fall Foliage feature for their Essentially America magazine which took us up into the wilds of Wisconsin and along the full width of Michigan's Upper Peninsula. Positively iridescent at this time of year. October was marked by the 25th Anniversary of the Epcot park at Walt Disney World and we worked with our friends at WDWCelebrations.com to publicize and help make this a memorable event for a large group of Disney fans. Finally, we finished the year with what was supposed to be a three-day Christmas break but which evolved into a week's stay 'Up north' in beautiful Boyne Country, MI. 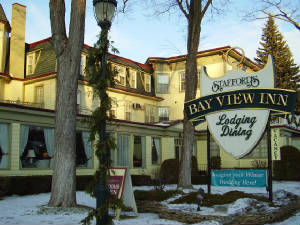 We had intended to find a romantic little hideaway just for the two of us but we were so enchanted with the area of Petoskey, Harbor Springs, Bay Harbor and Charlevoix we contacted the local tourist bureau and pumped them for information, extending our stay by several days to explore and enjoy the area more fully. Seeing it in the winter was wonderfully captivating (the skiiing alone is magnificent) but we were really taken with the year-round possibilities for the area, with some distinctly high-quality shops and restaurants. We also got the basis for a darn good book in the process! 2006: Getting all three of our boys together at the same time and in the same place during school holidays can be quite a challenge, but we had decided we wanted to see how they would take to a cruise, so we squeezed all five of us into a cabin aboard Carnival's Carnival Elation and sailed for the Caribbean (from Miami). And, as well as wonderful weather, we had a five-star hit on our hands. Despite the close confines of our sleeping quarters, everyone got on well and we all throughly enjoyed the whole experience, with the formal evening dinners being especially popular. It also made fabulous copy for World of Cruising. "Visitors from Michigan and Wisconsin know it well, but Mackinac Island is one of northern Michigan’s ‘hidden secrets’ to the rest of the country. Tucked between Lakes Huron and Michigan, the Island is a step back into the Victorian era, when horse-drawn carriages, bicycles and a sturdy pair of walking shoes were the main means of travel, just as they are today. There are no cars, just the gentle clip-clop of the hooves of 500 or so horses which set a slower pace as you disembark after a short boat ride over to the Island. Once the domain of the well-to-do in post Civil War times, the Island's main ‘attraction’ is Colonial Fort Mackinac, fought over by the British, French, Indians and Americans throughout the 18th century. Fudge is the primary ‘export’ and the genteel style of the eye-catching icon of the Grand Hotel (one of America’s prime listed buildings) sets Mackinac Island apart as a true original in the travel world." Simon added: "How this beautiful little island is not on the main tourist map of the world is a complete mystery to me. Spend any time at all here and you slip back into a bygone age where the constant noise pollution and stress of the modern day simply melt away. Great food (and beer!) are easy to find, eye-catching B&B's abound and the magnificent Grand Hotel provides a lofty overview for those privileged enough to walk through the doors as temporary residents of this genuine American icon." Later that summer, back to just the two of us, we took off on what was originally scheduled as a 10-day vacation and quickly grew into another major travel-writing 'epic'! Susan's idea was to take a leisurely tour of Philadelphia and Virginia, taking in Hershey, Gettysburg and Williamsburg, plus the Shenandoah Valley. Simon's idea was to do all this, but add in about another billion highlights along the way, turning it into a major schedule of non-stop CVB visits, museums, meetings and other tourist paraphernalia. The Blue Ridge Mountains, Luray Caverns, Museum of the Shenandoah Valley, Glen Burnie Historic House, Natural Bridge, Colonial Williamsburg, Busch Gardens, Hersheypark, Yorktown, Jamestown Settlement and other points of interest were all crammed into about 10 days on hectic note-taking and photo-snapping, and we compiled a major Blog as a result. Here's what Susan said (starting at the rather grand Hershey Hotel): What's not to love about a hotel where they hand you a chocolate bar the moment you check in, have chocolate-scented soap in the shower and still, in the midst of all that sweetness, offer the elegance and grace of an Old World resort, romantic enough for newlyweds while remaining exciting enough for families? When the sugar rush begins to wears off, head across the street to Hersheypark for a serious adrenaline rush compliments of no fewer than 10 coasters, 15 Family rides, a heaping helping of out-and-out Kiddie rides and, when you're ready to cool it all down, a super-soaking via 8 water rides, including the ultimate in retaliation, Roller-Soaker. Spectators beware! (Gettysburg): With a $40.4 million rebuild of Gettysburg Visitor Center due for completion in 2008, new interpretive programs, updated films and, most importantly, a massive reconstruction of the battlefield designed to return it to its 1863 condition, Civil War history isn’t being rewritten, it’s being revived. Tour the downtown area with John Horner and you will not only see where makeshift hospitals were set up to tend the wounded and ease the dying, you will also hear about his great uncles who were doctors during the war and a great uncle who guarded President Lincoln before his historical Gettysburg Address speech, in story after story passed down through the Horner family. Evening ghost tours tell tales from the ‘other side’ and if you are lucky, Civil War soldier George might just brush his phantom hand through your hair. From wineries to B&B’s, bullet-riddled walls to haunted dining spots and, of course, the famous battlefield, Gettysburg is gearing up to tell the familiar story of one of this country’s most pivotal battles as a complete and fully immersive experience. Simon added: History just doesn't come more 'alive' and riveting than a visit to 21st century Gettysburg. The place still resonates with the huge significance of this massive and tragic confrontation 143 years ago, and the vast ebb and flow of this pivotal battle is still easy to follow and beautifully presented by the mix of guides, exhibits and existing buildings. I would rate Gettysburg among the Top 10 of 'must see' sights in the US, and it is only going to get better in years to come. (Williamsburg): No longer the dry history lesson you remember from childhood, Colonial Williamsburg presents 18th Century America’s struggle toward a brand new country in full, captivating detail. Having debuted in 2006, Revolutionary City sweeps visitors up for two hour intervals over the course of two days, making them part of the bustling street scene, along with historical actors, telling the story of America’s independence, from the demise of English rule to Washington’s march toward triumph at Yorktown. Nearby Yorktown Victory Center and Jamestown Settlement continue the adventure in hands-on, living history format even 21st Century video-game jaded youngsters find fascinating. Simon: Our summer tour of Pennsylvania, Virginia and West Virginia turned up many captivating history lessons, but none better than Colonial Williamsburg, a living, breathing homage to the 18th Century. This beautifully recreated and rebuilt colonial city - the original capital of Virginia and one of America's earliest major settlements - surrounds you with the life, style and feel of the 1700s, building to the momentous events of 1776. Even the (rather expensive) shopping is fully imbued with the 300-year-old spirit of this unique development, and the great number and variety of live performances and costumed characters give it a genuinely alluring persona. If only it didn't all seem to close down at 5 O'clock each afternoon! When combined with the nearby 'Historic Triangle' sites of Jamestown and Yorktown (notably the new Jamestown Settlement recreation, with its new museum centre and exhibits), it makes for an absolutely essential and riveting slice of tourist fare, with some truly fascinating insights into the creation of this amazing country. (And Virginia): Majestic views are expected throughout the Blue Ridge Mountains, but nestled in their midst is a lovely gem, easily overlooked amid the scenery. The brand new $20million Museum of the Shenandoah Valley tells the valley’s story (from the 1700s through the early 20th century) through extensive hands-on exhibits, art, film and walking tours of the gardens and the magnificent Glen Burnie Historic House (circa 1794). Luray Caverns, also in the Shenandoah Valley, take visitors underground into the largest and most extensive caverns in the eastern USA, where massive columns reach 10 stories high, shimmering dripstones flow down to the well-lit pathways and Pepper’s Ghost is never far away. Above ground, Natural Bridge towers 215 feet over the winding river that created it, meandering past a recreated Monacan village, brought to life by costumed interpreters. Natural Bridge was once owned by Thomas Jefferson, whose good friend George Washington carved his initials into the Bridge’s rocky arches, near a startling rock formation that can only be described as a naturally-created Buddha! And Simon: This was brand new territory for me, and distinctly eye-opening and enjoyable it was, too. 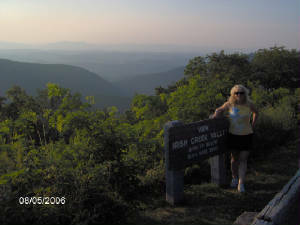 It is such pretty countryside, framed by the mountains and dotted with charming towns and natural attractions (as Susan describes above), visitors can't fail to be enchanted by the almost timeless historic appeal of the Valley and especially such lovingly-created attractions like the Museum of the Shenandoah Valley.